It’s Cherry Blossom time down in Washington and while it’s still kinda dreary here in New England, it’s the harbinger of Springtime we’re all impatiently waiting for! 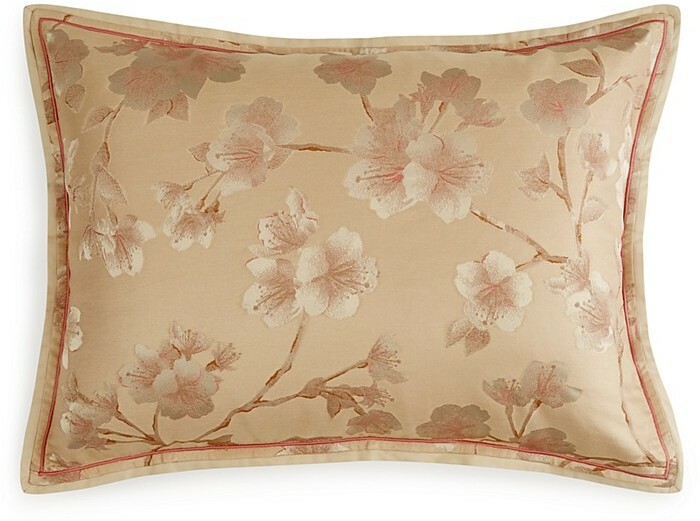 Ever since I saw Quadrille’s Cherry Branch fabric at the Boston Design Center, I’ve been swooning over all things cherry blossom. As we all know, people have been in love with the this delicate bloom for as long as there have been cherry blossoms. 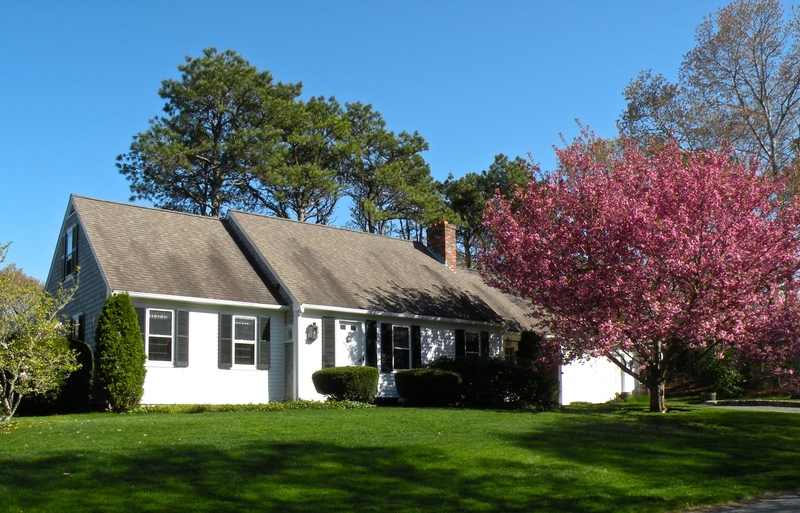 My parent’s little white house on Cape Cod featured a gorgeous huge cherry blossom out front. Photo by Linda Merrill. I’m celebrating the season on my own little mantle with my faux blossoms. 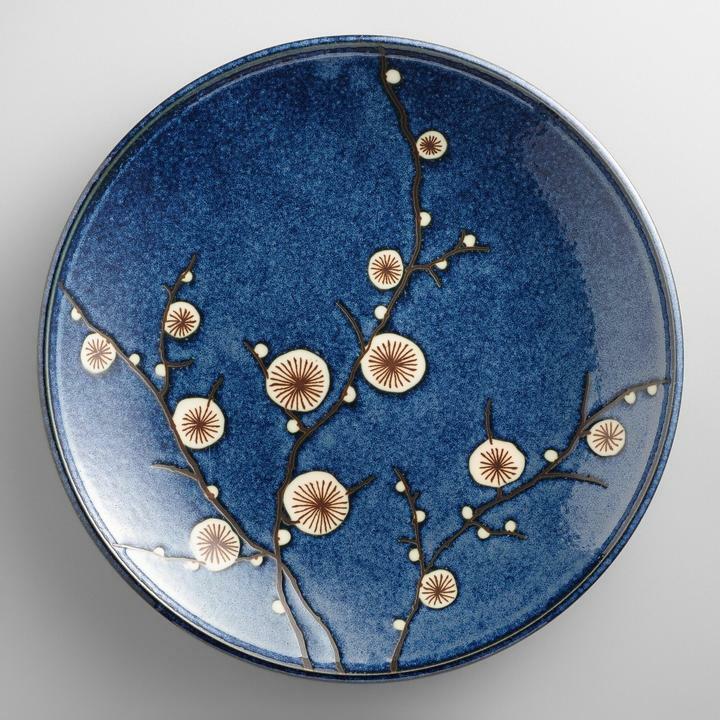 I thought I’d pull together a collection of gorgeous cherry blossom inspired items so we can have this amazing touch of spring all year long! CARACOLE BLOSSOM CHINOISERIE DRESSER – A real statement piece! DAMAS PENDANT – Floral inspired modern pendant chandelier – gorgeous! MADURA PILLOW COVER – One of the easiest and most cost effective ways to change things up for a new season is to swap out your pillow covers. Do you feel refreshed? I do! One day I will make it to see the blossoms in washington DC!!!! One day!!! I know, I hope to as well!! Someday I’ll make the trip!